Its that time of year again, time to enjoy the legendary Tour de France. Enjoy the sights of the racing and the stunning scenery whilst enjoying this selection of French wine. We are also pleased to partner our friends at Les Vaches du Tour for possibly the social media event of the Tour. Follow Les Vaches du Tour as they celebrate the unsung heroes of the tour. That's right, the cows! Enjoy riding our virtual peleton over the pyrenees. 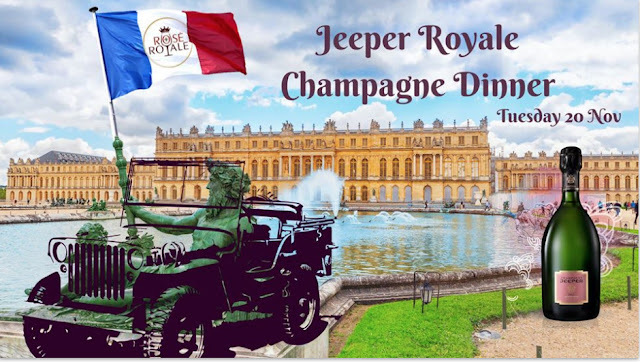 Enjoy the wine and food, the stunning scenery and the magnificent TV coverage of the Tour. The wines in this 6 pack are sourced from vineyards in the Pyrenees and the South West of France - regions that the 2012 Tour passes through in the third week as the battle for the yellow jersey really hots up. 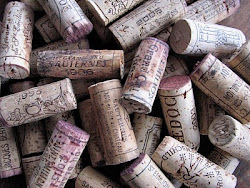 They represent great value for money and a great introduction to the wines of the region. And at a fraction of the price of a ticket to France! Here is the list of wines, as matched with this years Tour stages, with some serving suggestions...more food suggestions and recipes are included in the tour pack. Usually $150.77 if purchased individually, the total price for the Taste of the tour 6 pack is only $140. Packs include notes on the wine and some serving suggestions and recipes. The tour enters Provence, we crank up the heating, crack open the nibbles and pop the cork on this classy rosé. Not the sweet rosé of our youth but something dry, minerally and classy. Imagine that you are sitting in a café overlooking the Mediteranean Sea, smelling the sea air and the scent of herbs and local delicacies from the kitchen, as the peleton whizzes by. Are you starting to get the idea? Its Bastille Day. Vive la France and Vive le Tour! Wine 1-Domaine de la Croix Irresistable AOC Cotes de Provence 500ml $19.90 Cru Classé rosé from Provence. Rosé seems to be popping up everywhere these days- see what the fuss is about! Pale pink, elegant nose with citrus fruits aromas. Supple, fruity with a soft and silky "finale". The tour enters the Pyrenees region for the first time, just to the north are the wine regions of Gaillac and Fronton. We have selected an interesting blend of 55% Négrette, 20% Shiraz, 15% Cabernet Sauvignon, 10% Malbec. A lively nose redolent of flowers, herbs, with some meaty tones; rich fruit, complex and round. Serve with a plate of charcuterie such as hams, salami and some cheese. Allez Cadel! Wine 2- Chateau Bouissel Classic AOC Fronton Rouge, 750ml $19.99 This is a great value for money wine. The modern expression of classic Fronton wines. The tour traverses the wine regions of Madiran and Saint-Mont- ancient wine growing regions undergoing a resurgence. 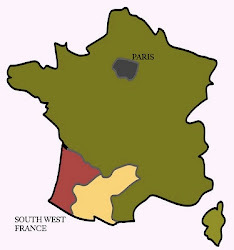 Where classic south-west wines are produced from ancient terroir, by small passionate producers using modern wine making techniques-wines being rediscovered and celebrated by the French, reacting against the "sameness" of international wines. A region where duck is king of the table. Wine 3 Domaine du Crampilh, Vielles Vignes, 2006, 750ml $28.99. This is a powerful multi-award winning wine from a well-regarded producer in the Madiran region. This domaine aims to produce a wine “in a style that brings out the heart and soul of south-west France. The wines of this region date back to roman times but were made famous by pilgrims passing through the region. Winemakers of the region can draw on centuries of cumulated experience to ensure optimal viticulture practices. Modern techniques have brought out the best from this wine. Made from 70% Tannat and 30% Cabernet Sauvignon. A beautiful deep purple colour. An intense and savoury nose with black fruits, vanilla and leather. A concentrated palate with rich black fruit and peppery spices balanced with great structure, fine chalky tannins and acid. Intense, powerful but great length and balance. After a days rest, the peleton departs Pau- the Tour’s most visited city after Paris and Bordeaux. It is the birthplace of King Henry IV who was baptised with the sweet wine of Jurançon. The famous cols of the Pyrenees, Tourmalet, the Aubisque, the Aspin and the Peyresourde will challenge the riders today. We sit back and enjoy the ride as we enjoy one of the famous wines of Jurançon. Wine 4 Château Jolys Cuvée Jean 2008, 375ml The nose presents notes of honey, apricot and peaches. The palate is fresh, powerful yet smooth - Petit Manseng at it's very best. Fabulous length and balance. This wine like many from Jurançon are pleasantly sweet without a cloying finish. Best served with one of the classic cheeses of the region or a fruit dessert such as the classical tarte tatin. Another day of high mountains Tour drama. Tonight we celebrate the dry white wines of the region. The manseng grapes used in the famous dessert wines are picked at optimal ripeness and made into classy dry minerally wines. With their lovely fruit and dry finish they seem to appeal to baoth the chardonnay and the sav blanc "camps". They keep well for years, and we present here one reaching its optimal drinking age. To enjoy on its own or with chicken pieces roasted with orange and thyme. Wine 5 Domaine Bellegarde Jurançon Sec "La Pierre Blanche" 2006, 750ml $29.99. Selected parcels of petit and gros manseng grapes from 60 year old vines, aged in oak. The nose is very expressive and complex with spicy and mineral notes. The palate is long, rounded and complex with spices and complex stone fruit and citrus flavours. Good acid to give great balance and structure to the wine. Turning north and racing through the Fonton and Cahors region, crossing the Dordogne and Lot rivers, this is a day for the sprinters. We have put together a quick steak recipe to enjoy with a classic red from Cahors. 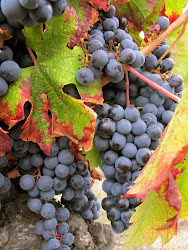 We have picked a great Malbec from a top producer. Good value for the quality of this wine which has won multiple awards including three $$$ from Robert Parker:The World's Best Wine . Wine 6 Chateau Haut Monplaisir Prestige-AOC Cahors-Rouge 2006 750ml $29.90 Garnet red colour. The nose is intense, with notes of red fruit, spices and blackberry jam. Crisp and even, this wine presents aromas of blackcurrant and blackberry on the palate, along with a mineral note. The finish is lengthy and complex, with notes of chocolate and spices, and with just a hint of woody aromas.